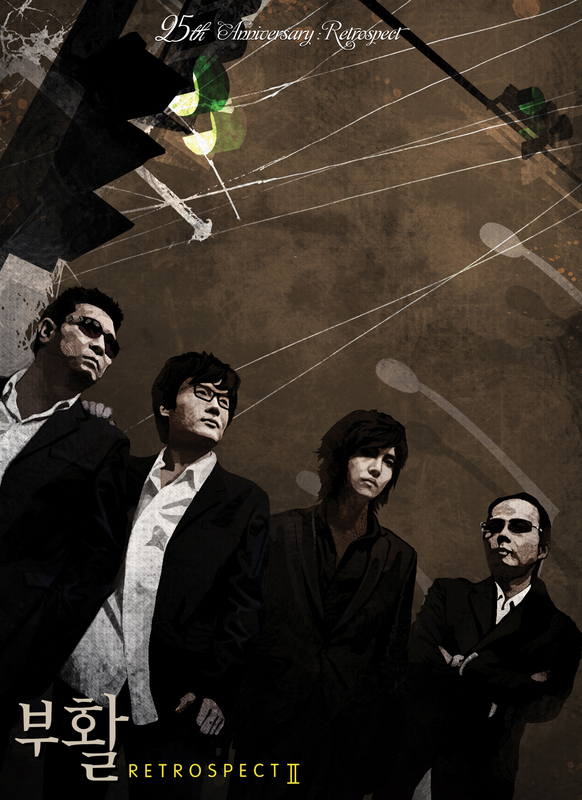 Boohwal’s 1oth Album, the first album Vocalist Jeong Dong-Ha joined Boohwal. The member line in this album is the same as the [Live and Unplugged] Album: Kim Tae-Won, Seo-Jae-Hyuck, Chae Jemin, Jeong Dong-Ha, and Eom Soo-Han. Released on 21 October 2010. 그룹 트랙스 출신 배우 노민우가 부활의 기타리스트 김태원을 소재로 한 드라마에서 주인공으로 캐스팅됐다. 2004년 트랙스 드러머로 연예계에 데뷔한 노민우는 ‘파스타’·’내 여자 친구는 구미호’ 등에 출연해 얼굴을 알린 유망주다. Actor No Min-Woo was casted to play the main role as Boohwal’s guitarist Kim Tae-Won in KBS TV drama based on Kim Tae-Won’s life story. No Min-Woo, who debut as the drummer of the band “Trax” in 2004, is a rising who is starting to gain fame through his role in “Pasta” and “My Girlfriend Ku Miho”. 김태원 소재의 리얼 드라마를 제작중인 KBS 드라마 스페셜팀 제작진은 최근 노민우를 만나 그의 기타 연주 실력을 확인하고 드라마 속 김태원 역에 적격이라고 생각해 캐스팅을 확정했다. KBS Drama Special Team who are working on reality drama based on Kim Tae-Won’s life story recently met with No Min-Woo to check his guitar skills, and found him as qualified and decided to cast him. 지난 6개월간 24부작의 단막극을 선보인 KBS는 내달 중순 이후 4~8부작 형태의 새로운 콘셉트의 드라마를 선보인다. 그 첫 스타트가 김태원 소재의 리얼 음악 드라마다. 제작진은 “드라마 형식에 맞는 장르를 생각하다 음악드라마를 해보자는 생각을 했다”며 “최근 김태원 씨가 예능에서 ‘국민할매’ 캐릭터로 예능 아이콘이 됐지만 아직 조명되지 않은 뮤지션으로서의 다른 얘기도 많을 것 같아 직접 만나 얘기를 들어보고 극화하기로 결정했다”고 기획 계기를 전했다. 이번 드라마는 1985년 결성된 부활 원년 멤버로 26년 동안 그룹 생활을 한 김태원의 음악 인생과 뒷 이야기 등을 리얼하게 담을 예정이다. 김태원 외 이승철 등 부활을 거쳐간 뮤지션들의 이야기도 실리며 내달 27일부터 방송된다. 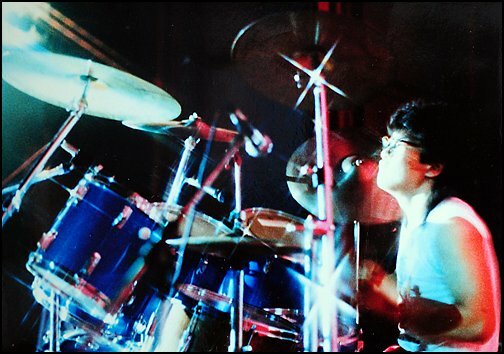 The drama is intended to tell the true story about Kim Tae-Won, who had brought the band Boohwal for 26 years now, his music, and the story behind it. The drama, which is scheduled to be aired starting on the 27th next month, will also tell the story of Lee Seung-Cheol, and other musicians who were once Boohwal members. 김태원 소재의 드라마 이후에는 수사물 등 다양한 장르가 선보일 예정이다. 채제민에게 드럼 연주는 손과 발을 모두 움직이는 놀이이자 끝없는 공부다. 채제민의 별명은 ‘또자’. 틈만 나면 쪽잠을 잔다. 잠꾸러기는 아니다. 불규칙한 생활 탓에 생긴 습관이다. 저녁부터 시작하는 일의 마침표는 대개 새벽. 아침 8시가 돼야 겨우 잠에 들 수 있다. 간혹 낮일정이 생기면 뜬눈으로 이틀째를 맞는다. 공연 전 대기실은 수면실과 다름없다. Chae Jemin’s nick name is “sleep again.” He’d fall asleep even if he only had one second off. He’s not a sleepyhead. It’s a habit he comes to develop because of his un-orderly lifestyle. A work that starts in the evening usually finishes during midnight. He could only fall asleep when it gets 8 in the morning. Occasionally when he has working schedule during the day, he’d stay up for two days straight. Before a concert, musicians’ waiting room is as good as a sleeping room. 나이를 먹을수록 채제민은 건강을 우려한다. 더 큰 걱정은 가족이다. 사랑하는 아내와 자녀를 자주 보지 못한다. 불규칙한 생활로 인천의 집이 아닌 서울의 작업실에서 독거하기 때문이다. As he gets older, Chae Jemin starts to worry about his health. Even a bigger concern, is his family. He can’t meet his beloved wife and children often. Because of his irregular lifestyle, he’s living by himself in the music studio in Seoul, instead of their house in Incheon. 잦은 교통사고도 이유 중 하나다. 원인은 모두 졸음운전. 이 때문에 술을 마시지 않아도 자주 대리운전을 애용한다. Among the reasons is also a frequent traffic accident. The cause is always sleepy-driving. Because of this reason, he often use the chauffeur service despite he wasn’t even drinking. 부득이하게 옮긴 거처. 사정을 모르는 사람들은 이혼남으로 착각하기도 한다. 주변 시선은 신경 쓰지 않는다. 아내 정연미에게 그저 미안할 뿐이다. Inevitably, he had to move their residency. People who don’t know why sometimes misunderstood him as divorced. He doesn’t care about people’s perception. He’s just sorry to his wife Jeong Yeon-Mi. 그녀는 그의 첫사랑이다. 고등학교 시절, 학생들의 돈을 뺏으러 간 도서관에서 보고 첫눈에 반했다. She was his first love. In high school, when he used to see her in the library and fell in love at the first sight. 채제민은 매일같이 도서관을 들러 그녀를 훔쳐봤다. 친구들은 이런 그를 숙맥 취급했다. 고백할 것을 연거푸 부추겼다. 며칠 뒤 그는 용기를 냈다. 어렵게 다가가 말을 건넸다. 결과는 참혹했다. 눈앞의 그녀가 반대편으로 전력질주하며 모습을 감췄다. Almost everyday, Chae Jemin dropped by the library to steal a look at her. His friends took him as a fool. He tried to confess his feelings for her several times. A few days pass by before he could gain courage. Difficultly, he approached her and told her how he felt. The result was miserable. The girl in front of him sprinted to the opposite direction before she disappeared. 그녀를 다시 본 건 수년이 흐른 뒤였다. 재회는 운명 같았다. 나이트클럽 연주 뒤 탄 지하철 칸에서 우연히 마주쳤다. 긴 정적 속의 서먹함. 채제민은 하늘이 준 기회라고 여겼다. 이후 끊임없이 그녀를 쫓아다니며 자주 만나는 사이가 됐다. Years went by before he met her again. The reunion was as if it was destined. He coincidentally bump into her in the subway after performing in a night club. Long awkward silence. Chae Jemin thought it was an opportunity from heaven. After that day, he followed her everywhere and they came to see each other often. 호전된 관계에는 가수 이승환의 노력도 숨어있었다. 밴드 드러머의 짝사랑이 자신의 팬임을 알고 공연 중 따로 이벤트를 마련했다. 사비로 여행을 준비해주기도 했다. 특히 채제민은 안성으로 떠난 여행을 소중하게 간직한다. 텐트를 치고 낚시를 하던 중 집중호우가 쏟아졌다. 부랴부랴 짐을 챙겨 차에 올랐지만 악재는 계속됐다. 집으로 돌아가는 고속도로에서 차까지 고장 난 것. 둘은 처음으로 함께 밤을 지새웠다. 분위기는 야릇하지 않았다. 믿음을 주기 위해 손만 잡은 채 조용히 눈을 감은 까닭이다. 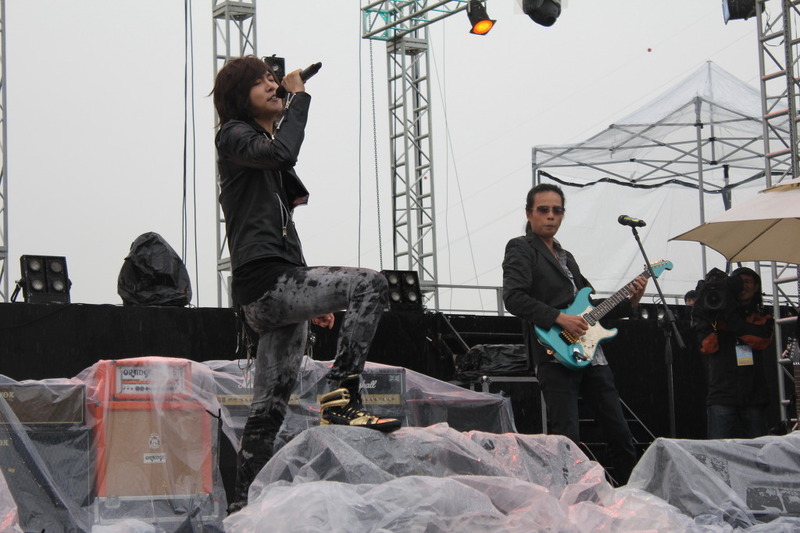 The improvement in their relationship was also thanks to singer Lee Seung-Chul. 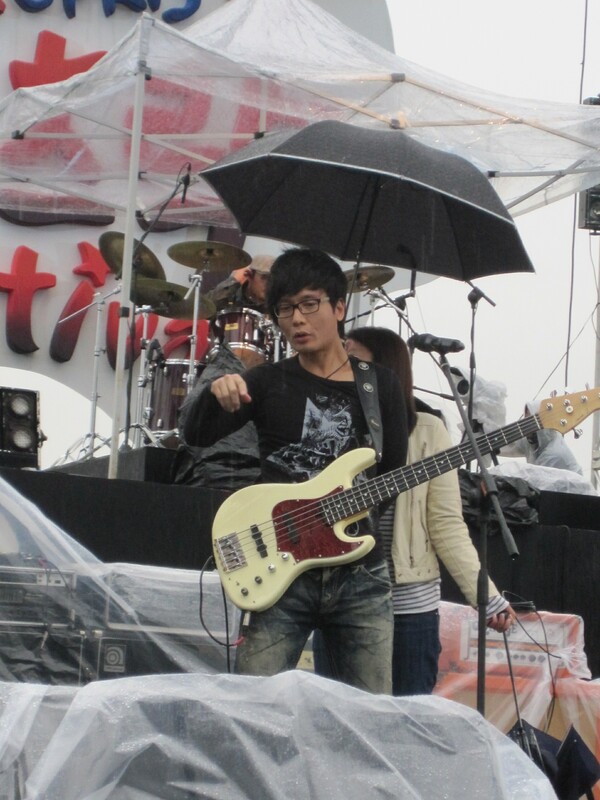 Chae Jemin was playing drum for him, and the girl he loved happened to be Lee Seung-Chul’s fan, thus Lee Seung-Chul help preparing a special event for the two in his concert. He also present them with traveling package out of his own pockets. Chae Jemin really vallue that memory of traveling to Anseong. They built a tent, and while they were fishing, it suddenly rain so heavily. They rushed packing all of their stuff and evacuate to the car, but the misfortune didn’t end there. On the highway back home, the car went broken the two spent the night together for the first time. But the atmosphere wasn’t awkward. He wanted to make her trust him, so he only held her hands while he rest his eyes to sleep. 어느덧 결혼 16년차. 둘 사이에는 생긴 아들과 딸은 각각 16살과 8살이다. 늘어난 식구는 채제민에게 삶의 이유이자 활력소다. 그는 언제나 가족과 함께하고 싶어 한다. 그래서 일주일에 한 번밖에 보지 못하는 현실에 늘 안타까워한다. They’ve been married for 16 years now. They have a 16-year old daughter and an 8-year old son. For Chae Jemin, his family is the reason for living, and also his driving force. He wants to be with them, always. So he’s always regretting the fact that he can’t see them more than once a week. Details of each song could be found by clicking the title, or in the matching album category on your left hand side. One of my favorites. 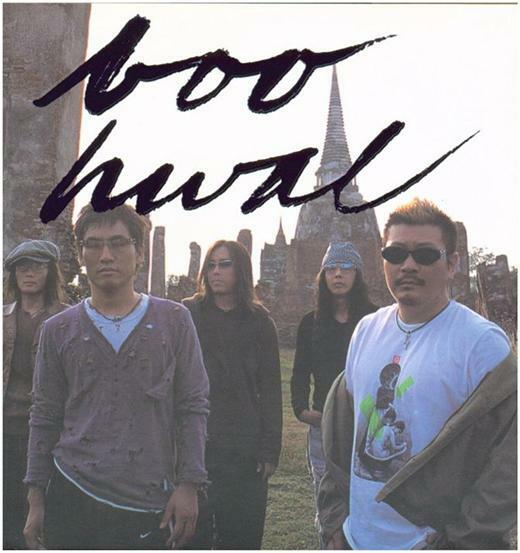 The title song of Boohwal’s 6th album, “Ideal Gaze” (이상시선), released in 1999. 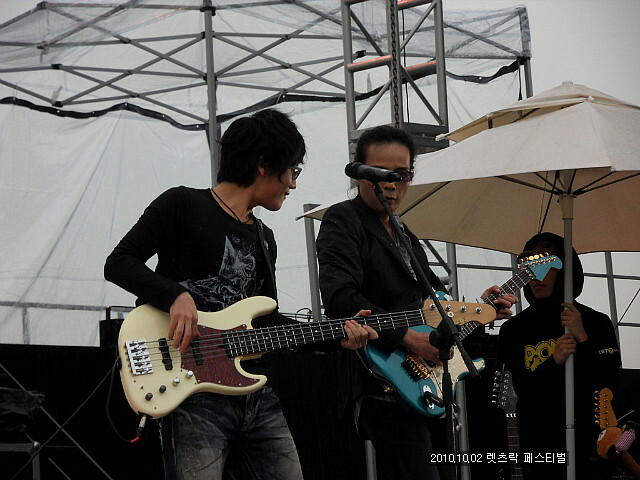 This song was composed by bassist Seo Jae-Hyuck and written by guitarist Kim Tae-Won. 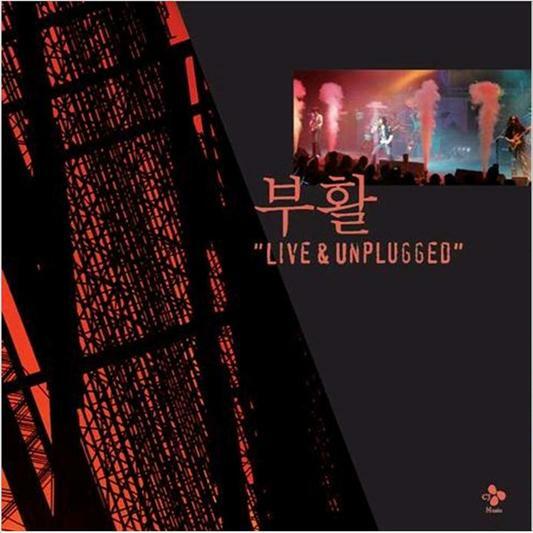 Released in Boohwal’s 10th album “서정” in 2005. 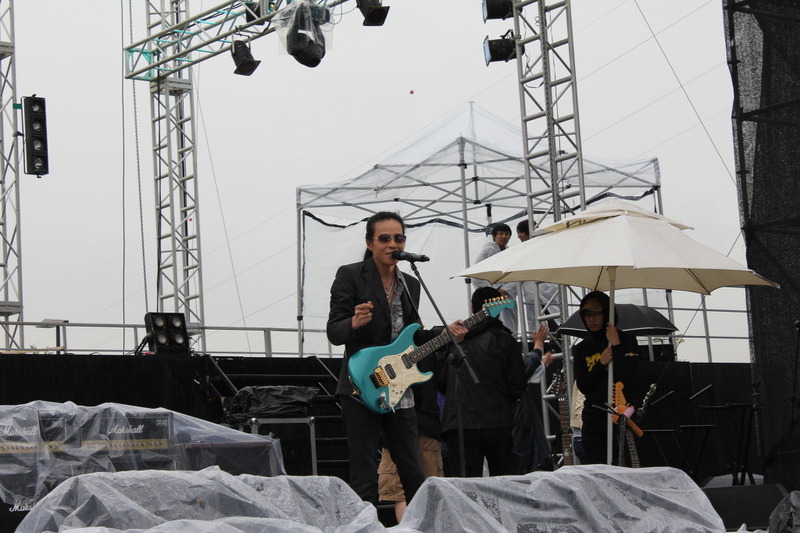 Was also used as the OST of a movie “Dirty Carnival” (비열한 거리). This is one of Boohwal’s best. 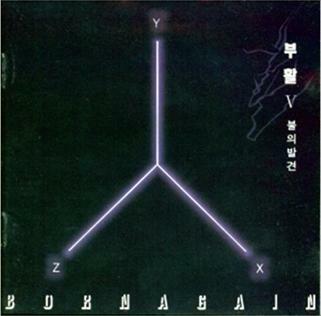 First released in Boohwal’s 3rd album in 1993, “Loss of Memory” (기억상실), this song has been inserted into at least five different albums since then. The details could be found on “소나기 (Rain Shower)” category below the “3rd album”. The song is inserted in the following album: 3, 7, 9, Boohwal Best (1996), Live & Unplugged (2005). This song was originally released in Boohwal’s 7th album “Color” in 2000. This is just a perfect song to be performed unplugged. 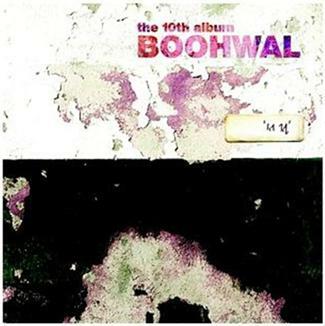 This is the title song of Boohwal’s 10th album “서정” released in 2005. This is also a special song for it was sung in two languages. It was inserted in Boohwal’s 9th album “Over the Rainbow” released in 2004. Boohwal also released the song in Chinese, where it was used for a drama OST there. The very same song, in Korean, was also used as a movie OST titled “A Moment to Remember” (머리속에 지우개). Another song from Boohwal’s 10th album “서정” released in 2005. The guitar opening is awesome! Ah.. who wouldn’t know this song. One of Boohwal’s legendary song. 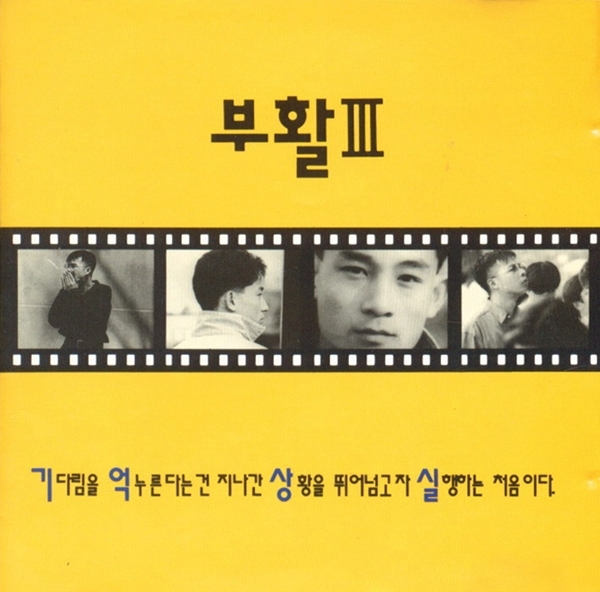 Originally inserted in the 3rd album “Loss of Memory” (기억상실) in 1993. The original singer, Kim Jegi, passed away before he could even taste the loving response this song receives. 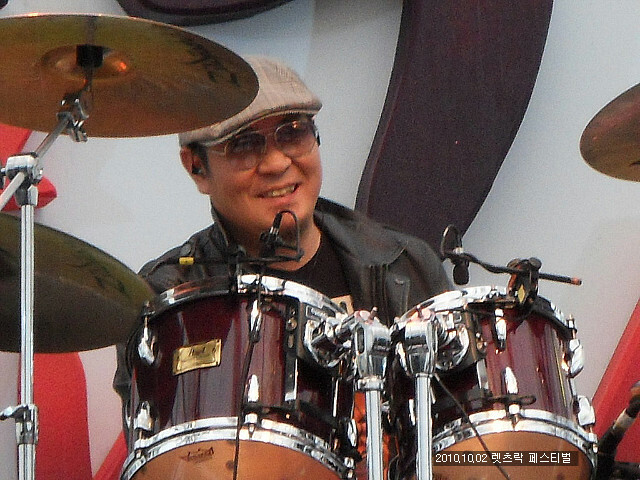 Kim Tae-Won said that had he not passed away, he would still be Boohwal’s vocalist from that day on until the end. A very much loved song, for many reasons, this song was remade in 2010 in Boohwal’s latest 12th album, part 2 (Retrospect II). You could find the lyrics and translation under “The More I Love” below the “3rd album” category. The only song ever inserted in Boohwal’s album, that was not written nor composed by its incumbent member. This is also Boohwal’s debut song, the very first song they ever released, and made a big hit. 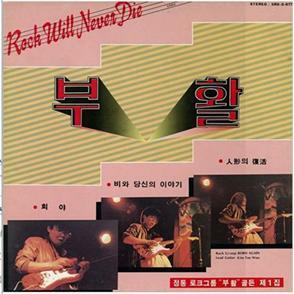 Heeya was the title song of Boohwal’s 1st album “Rock Will Never Die” released in 1986. It was also remade in Boohwal’s 7th album released in 2000. 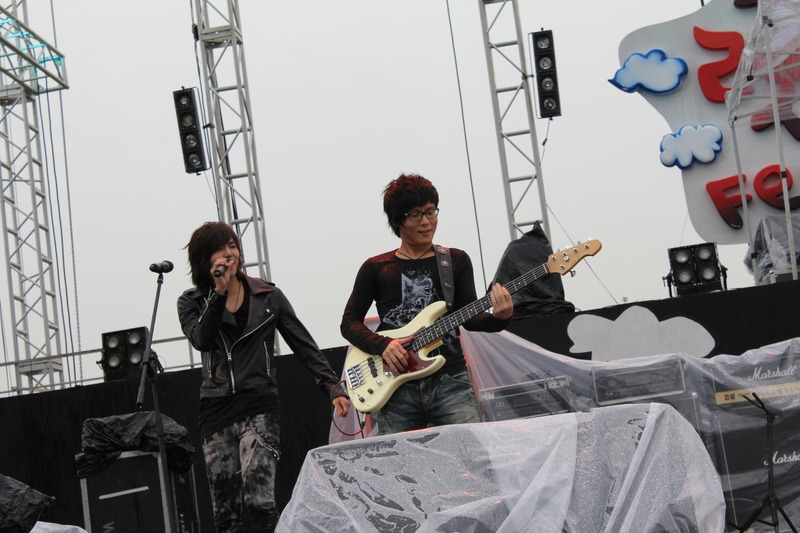 The song was composed and written by Yang Hong-Seob. This song is still very much alive today as it was when it was released in Boohwal’s 5th Album “Discovery of Fire” (불의 발견) in 1997. One of Boohwal’s top three songs, and one of Korea’s most loved songs ever. 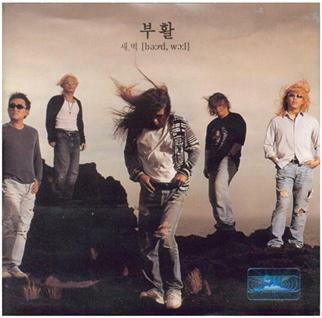 First released in Boohwal’s 8th album “Bird, Wall” (새 벽) in 2002. 희야 (Heeya) was composed and written by Yang Hong-Seob. So, Let’s Rock Festival. Me and my newly-recruited Boohwal-fan friend got there at around 1 pm. Up until 2 pm, we managed to get to the second line from the stage. Boohwal showed up at 3 pm when I was cleaning my glasses (man it was raining again!!). As I said, it was raining and thus pretty cold. Me and my friend were not interested in watching other bands’ performances so we stepped out after Boohwal’s stage and went to the side of the stage to catch them leaving.